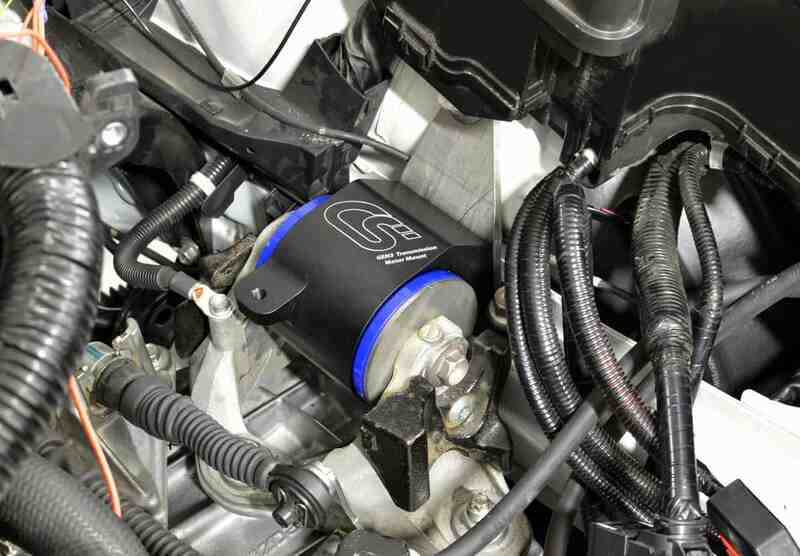 CorkSport is proud to introduce the first and only performance transmission motor mount for GEN3 Mazdas. It’s a simple upgrade that can really change how shifting feels in your 2014-2018 Mazda 3, 2014-2017 Mazda 6, or 2013-2018 Mazda CX-5. We saw how an upgraded mount can drastically affect the characteristics of your car with our Mazda 3/6/CX-5 RMM and wanted to take the next step in getting the best driver feel you can out of your car. We followed a design similar to the OE mount to ensure proper fitment and function for all engine and transmission options. Whether you have a 2.0L Mazda 3 Auto, a 2.5L Mazda 6 Manual, or anything in between, the CorkSport TMM will bolt right in with no issues. We even retained the OE battery tray mounting location to ensure the battery stays stationary. Don’t be mistaken though, the CorkSport Mazda Transmission Motor Mount is a completely different mount than OE. The OE mount uses relatively soft rubber to ensure the least amount of noise and vibration makes its way into the cabin. It also allows the engine and transaxle to move around a surprising amount while accelerating, decelerating, or changing gears. 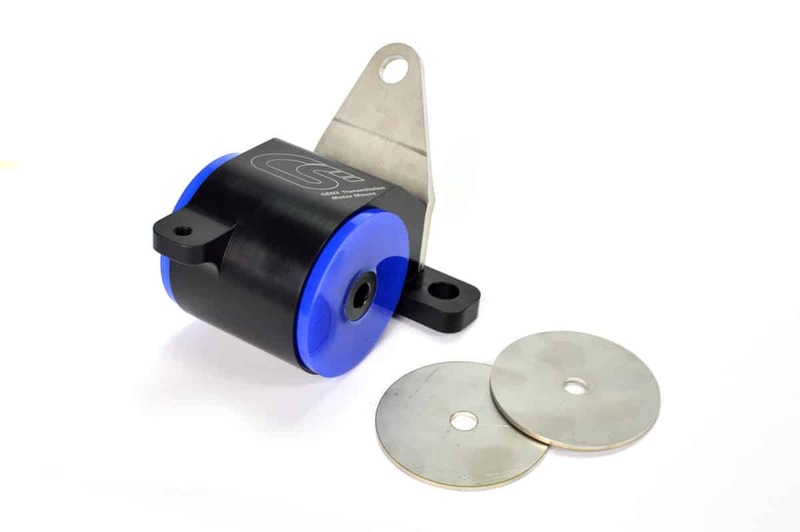 By using 70A durometer polyurethane, the CorkSport TMM helps to lock down the engine and transaxle for better throttle response, less wheel hop, and much-improved gear changes. When we first installed a prototype TMM in the CorkSport Mazda 3 racecar, we immediately noticed the lack of delay and slop coming from the transmission when setting off from a stop and changing gears. Don’t think we forgot about vibration and noise though. 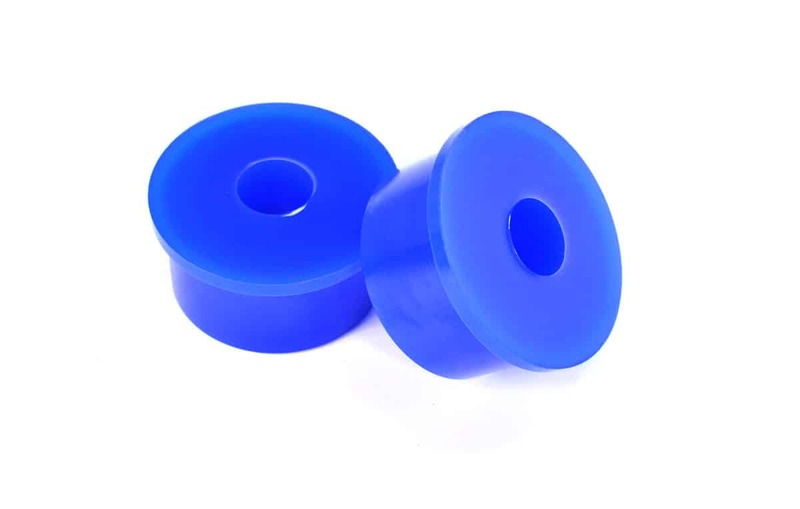 The size and stiffness of the polyurethane pucks were chosen to help minimize the adverse effects of stiffer mounts. That being said, there is still some added vibration and noise, most noticeable in automatic cars, when lugging the engine, and/or when using the A/C system. Once you are up and cruising on the highway, however, the added NVH is virtually eliminated solely by road noise. 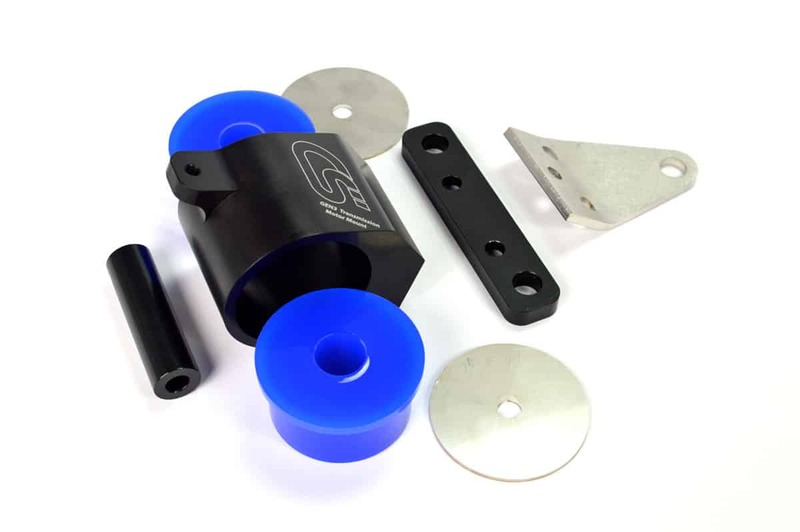 Much like the CorkSport RMM, the TMM uses billet aluminum for the main body of the mount. After machining, it is anodized black for durability and finished off with a laser etched CS logo. A zinc-coated steel sleeve is used through the center of the bushings so you can be sure that your mount is tightened to spec. Finally, stainless steel is used for the hardware, angled mounting plate, and side washers. 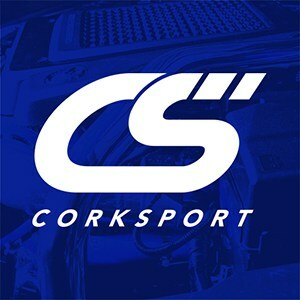 All of these materials were selected for their strength and corrosion resistance so that your CorkSport Mazda TMM will stand the test of time. The CorkSport Mazda 3, Mazda6, and CX-5 Transmission Motor Mount will liven up you GEN3 whether you use it as a daily driver or racecar. The TMM is even better when combined with our RMM however, it works standalone perfectly fine. While not for everyone, those who are willing the sacrifice a little comfort for a boost in driver feel will love this mount. The CorkSport Mazda 3/6/CX-5 Transmission Motor Mount will liven up you Mazda whether you use it as a daily driver or racecar. When we first installed a prototype TMM in the CorkSport Mazda3 racecar, we immediately noticed the lack of delay coming from the transmission when setting off from a stop and changing gears.